In the ancient lands of Middle-earth, a place of elves and dwarves, Orcs and wizards, the darkest evil and the brightest good, a hobbit named Frodo Baggins embarks on a perilous quest: to carry the One Ring, ruler of all the Rings of Power, into the shadowy land of Mordor and destroy it in the fires where it was forged. This is not a fairy tale. This is about real witches. Grandmamma loves to tell about witches. Real witches are the most dangerous of all living creatures on earth. There's nothing they hate so much as children, and they work all kinds of terrifying spells to get rid of them. Her grandson listens closely to Grandmamma's stories - but nothing can prepare him for the day he comes face-to-face with The Grand High Witch herself! The First World War laid waste to a continent and altered the political and religious landscape of the West. For a generation of men and women, it brought the end of innocence - and the end of faith. Yet for J. R. R. Tolkien and C. S. Lewis, the Great War deepened their spiritual quest. Both men served as soldiers, survived the trenches, and used the experience of that conflict to ignite their Christian imagination. 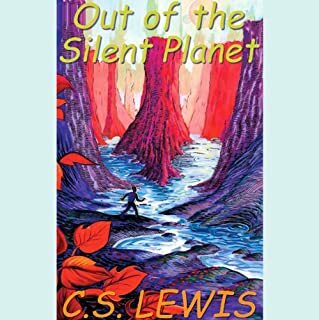 Had there been no Great War, there would have been no Hobbits, no Lord of the Rings, no Narnia, and perhaps no conversion to Christianity by C. S. Lewis. Delivers what the title says. For Milo, everything’s a bore. When a tollbooth mysteriously appears in his room, he drives through only because he’s got nothing better to do. But on the other side, things seem different. Milo visits the Island of Conclusions (you get there by jumping), learns about time from a ticking watchdog named Tock, and even embarks on a quest to rescue Rhyme and Reason. Somewhere along the way, Milo realizes something astonishing. Life is far from dull. In fact, it’s exciting beyond his wildest dreams. Here is the original American full dramatization of The Hobbit, as broadcast on National Public Radio. Bilbo Baggins, a gentle hobbit who loves the comforts of home, reluctantly joins a company of dwarves on a journey to recover plundered gold from a fierce dragon. It's a tale of high adventure and astonishing courage, and a magical prelude to the Lord of the Rings trilogy. I was very surprised by some of the reviews I saw for this audio book. I have the entire series and have loved them since I was seven or so years old (now 22). 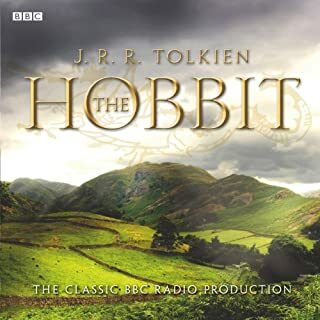 My dad used to play them for me when I was going to sleep at night--I would be carried off into the land of hobbits within seconds of starting the story, and soon I would be sound asleep. It was also good for keeping out the monsters under the bed...the the ring wraiths are rather scary. 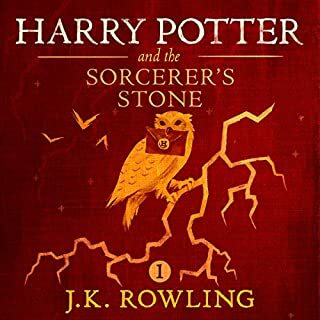 I can see why some of the voices might annoy some first time listeners, but for children or those still light at heart and willing to really give it a chance, I think it is a wonderful way to enjoy the book when you don't have that much time. If you don't like the American accents , think they sound too much like cartoon characters, or just want the unabridged version, I suggest the CD set read by "Rob Inglis." He does a wonderful job of reading the story, and should satisfy those of you who are not looking for what is offered here. As a final note, Gandolf's voice is probably one of the deepest, so if you can't stand the first bit, you probably won't like the rest of it. The Hobbit is indeed a classic, and I have listened to different versions. This one was just as good as the rest. Seriously, the people saying that the accents have to be British are missing the point. The Hobbit was not in England! It's in a mythical land that doesn't exist. That being said, the story is wonderful and if you haven't gotten a chance to read or listen to it, this would be a great way to do it. The two subtracted stars aren't so much because of the American pronunciations as the fact that due to the use of the same actor for multiple parts in many cases, it could sometimes become hard to follow who was speaking. This was, however, my first exposure to the world of Middle-Earth and so I'll forever have a soft spot for it. 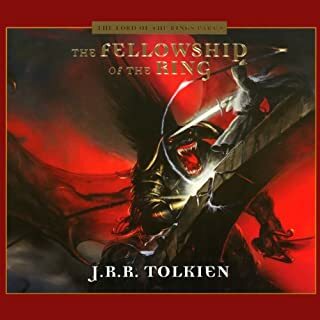 This was the version my school library had available to check out back when I was in forth grade and my teacher at the time thought it would be good for me to listen to. Not only that but when I eventually heard it I found the BBC's radiodrama more anoying than anything else, and usually I prefer the BBC to other versions. 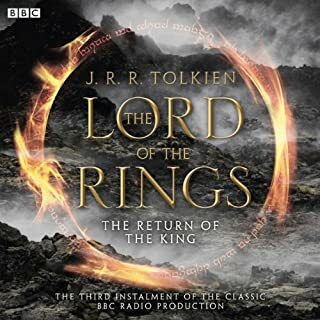 THeir Lord of the Rings is in many ways far superior to the NPR version, though the NPR version does remain more faithful in many ways. The same can be said for the two productions of The Hobbit. I really didn't like the BBC's version of The Hobbit, released back in 1968. I found the music, despite being authentically medieval and played on medieval instruments, to be very annoying. It would have been better if the Sackbut hadn't been featured so heavily. But I also couldn't get into the actors either. In that one regard I felt the NPR version superior, though it would have rated higher if they had used more actors so that one person wasn't playing two or more parts. But I liked Gail Chugg's narration and his portrayal of Gollum, and Bernard Mayes still remains a good Gandalf in my book. I also liked the music in this production, particularly their version of the Dwarves' song, which becomes more or less the main theme throughout the program. The one in the BBC version just grated on my ears. All in all though I've always found this version to be a very enjoyable listen. The acting, though a bit confusing sometimes (and yes, in some cases inappropriate), is good and the narration and music really help to tell an old favorite tale with new life. Overall, the "audio play" was enjoyable. However, there were times when trying to follow which character was speaking was quite confusing. Since I have read the book in the past, I was a bit disappointed by the length and how much it was abridged. I would have preferred an unabridged book just read by a single performer. Unfortunately that was not available. This drama sensation is different from the book because you don't need to say "he said" even though, I liked it. It makes the story more interesting with the music. It was great. Classic, this would have been a great radio show back in the day. I remember watching the cartoon when I was little. This rings back a lot of goof memories!!! What did you love best about The Hobbit (Dramatized)? I enjoyed the dramatic narratives. The different voices and tones brought life to the story. What does An Ensemble Cast bring to the story that you wouldn’t experience if you just read the book? The varying dramatic acting-out of the characters made me believe the story was as I imagined it if I were reading it myself. The book is too long to get through in one sitting. 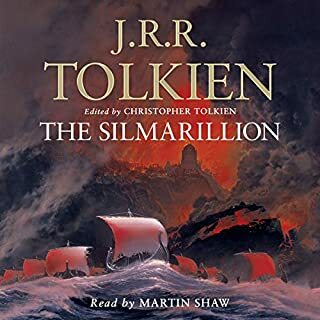 The convenient factor for the audible version of this book was being able to do other things I needed/wanted to do while still being able to enjoy the story. A tale to listen to on a long car ride! 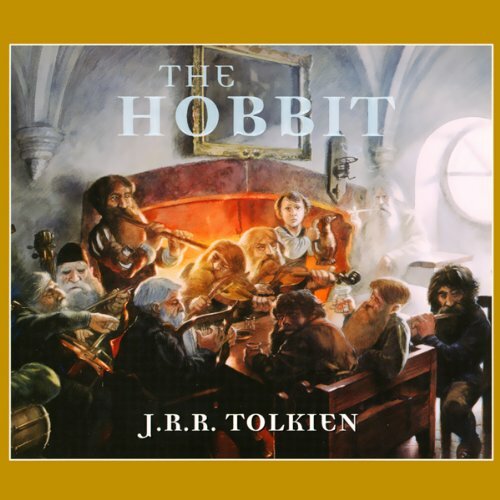 This cheerful & well dramatized reading of The Hobbit really brings the story to life! Even better than my own imagination - or as my imagination would have made it if I could have produced it. Would you listen to The Hobbit (Dramatized) again? Why? I enjoyed every minute of this Audiobook. Very very fun. Which character – as performed by An Ensemble Cast – was your favorite? i liked when the king under the mountain told bilbo he liked the hobbits merry making ways better than the dwarves ways of hoarding gold. I loved the story, but the dramatazation was horrible. I would have rather just had it read. I had to fast forward it sometimes especially through the dragon part to keep from laughing!